I frequent this site quite a bit and read up on things. Very Informative site! This is my First year as a gardener and even though I have had my problems with stuff, I am having some success! 2) Took a shovel and turned over the dirt in the back yard. Removed the grass clumps. Spaded the whole garden 4 times removing large rocks and foreign matter(I don't have a tiller). Added 12 (30 gallon bags) of chopped leaves before winter. 4) Dried Blood Fertilizer and Kelp Meal (Espoma Brand) used. 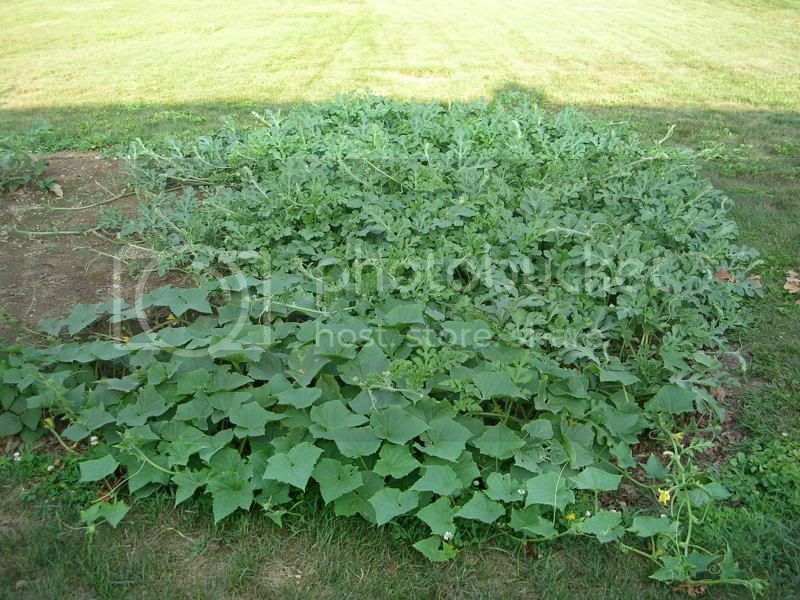 5) Use leaves as mulch. 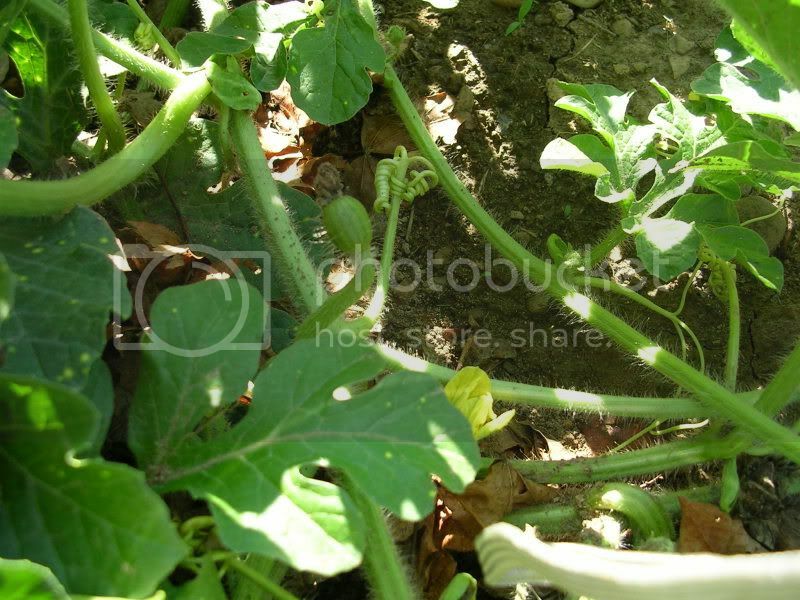 Mainly my garden was supposed to be a watermelon patch. 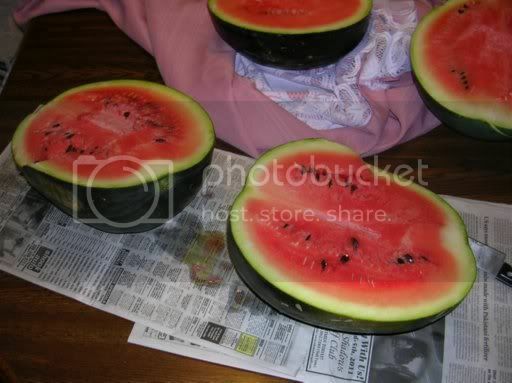 I love watermelon! It's the most amazing fruit ever. I was talked into planting other things though. I did research on stuff before I planted. I gave enough space for everything(except the watermelons, I didnt know what to expect LOL) and planted at the correct depth. Some plants didn't come up. Like I said , I have had some problems. All a learning process! 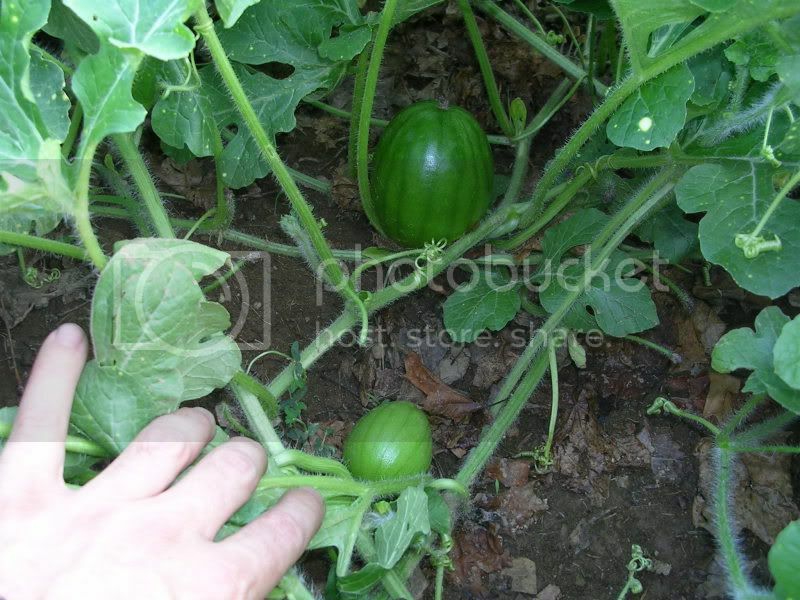 I am very proud of my watermelon vines though! Here are some delightful pictures taken 4 days ago. 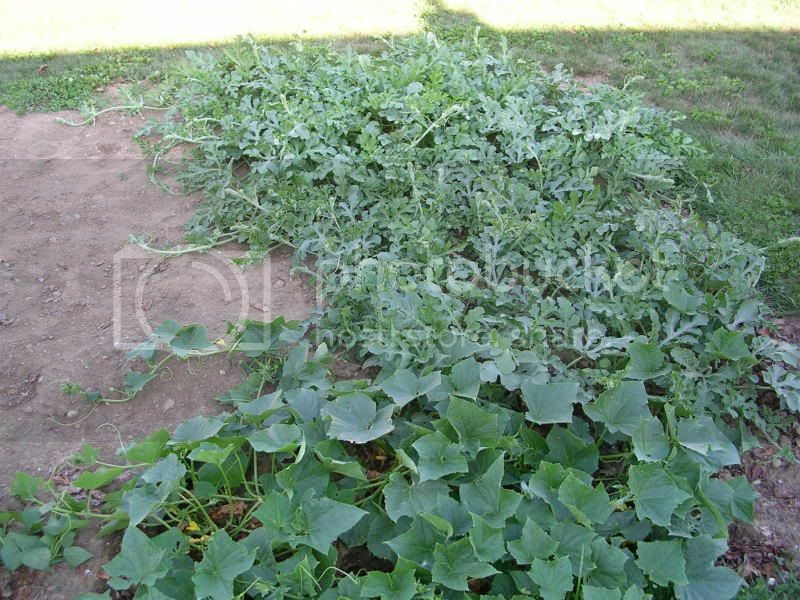 My cucumber vine and watermelon vine are kind of getting mixed up a bit LOL. 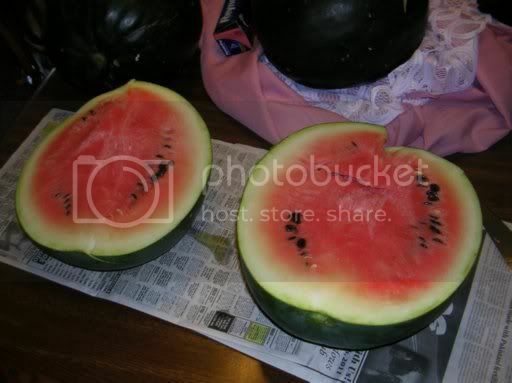 The variety of watermelon is Cherokee Moon and Stars but I think the seed people had some mixing of the seeds. Moon and stars are supposed to have yellow spots all over them and 1/2 of mine do not. They look like a totally different kind. Nine vines total. MrDeadPlant wrote: I frequent this site quite a bit and read up on things. Very Informative site! My loupes are doing AMAZINGLY though! 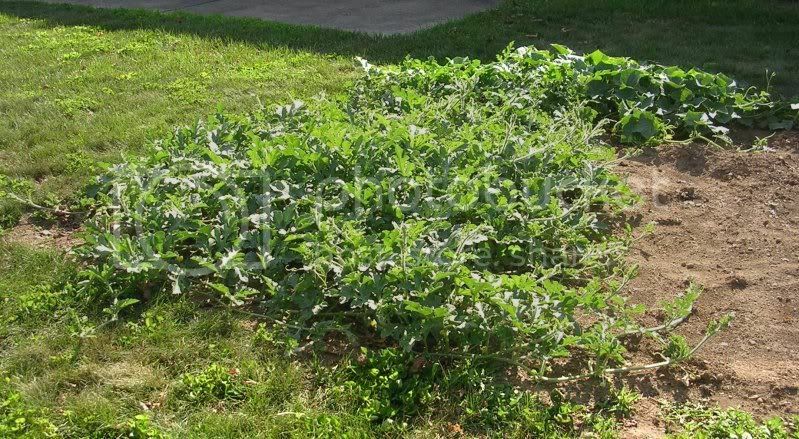 Next year you might want to think about raised beds. 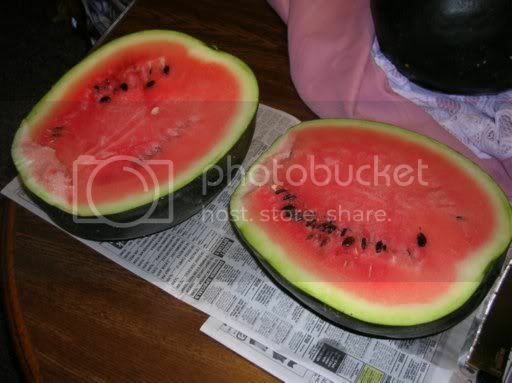 I did them (with lots of sand) and my melons really love it. Last edited by mmmfloorpie on Thu Jul 21, 2011 9:52 pm, edited 1 time in total. A bit of an update since I posted the above pictures. 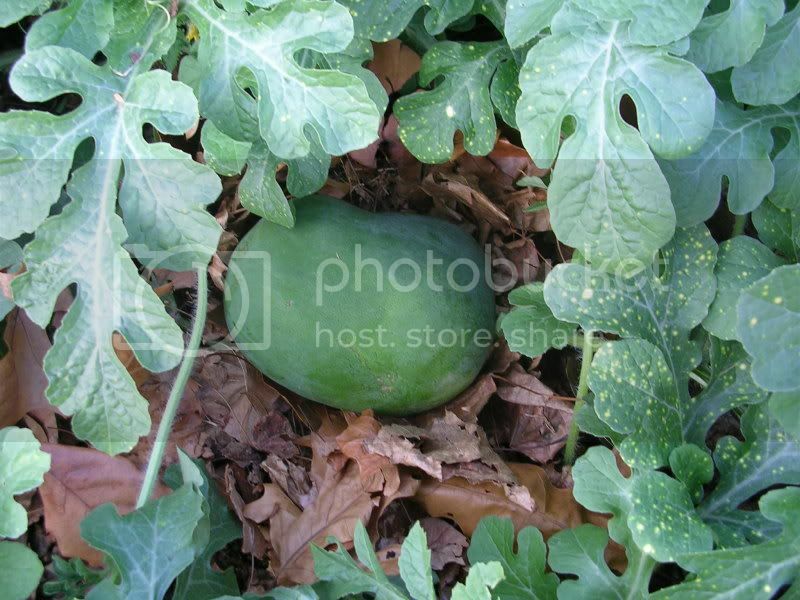 My melons seem to be doing great. They are getting larger and I'm finding more and more of them. 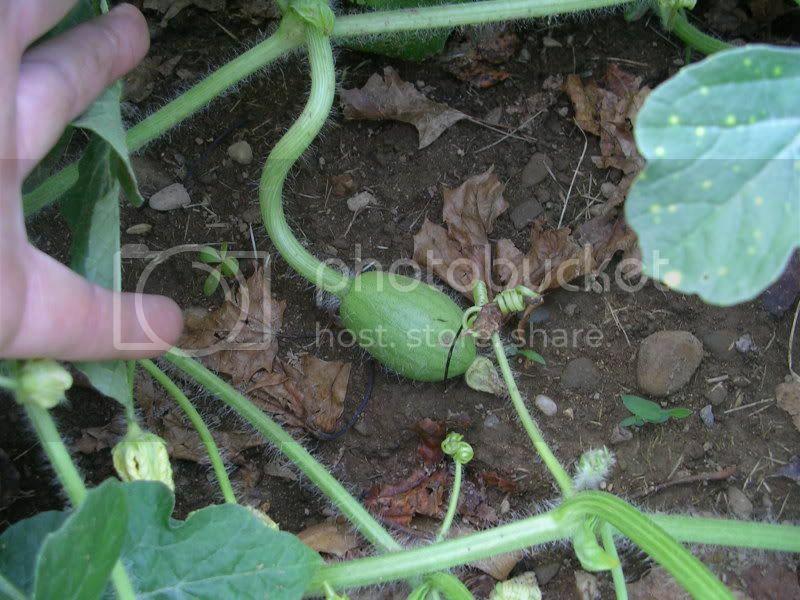 One thing I notice though, the vines are starting to get really thick and I'm seeing a very small bit of fungus on the dirt. I suspect I'm not getting good airflow through the vines. With it being dog days here in NE Ohio we don't get alot of wind so this could be a contributer? 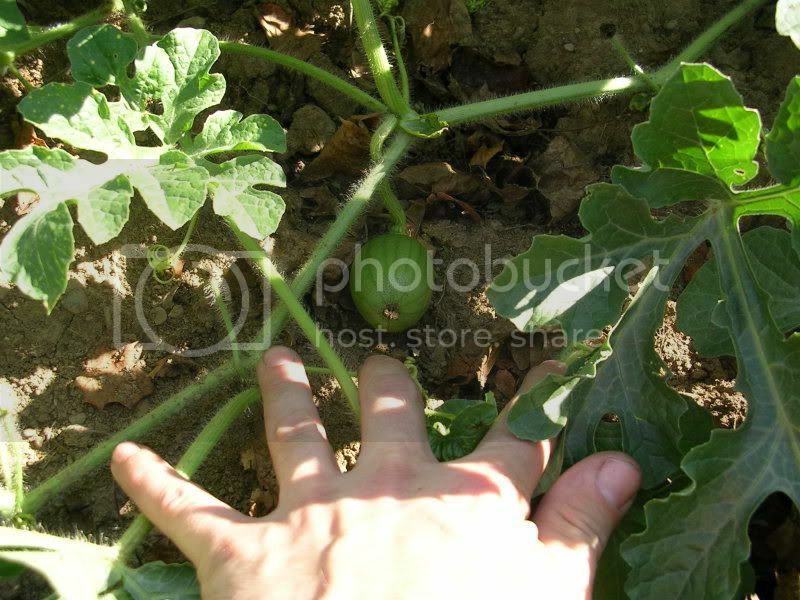 I picked my Melons and shot pictures of what I got. I had 11 melons on the vines. 1 didn't make it because it split open on me. 4 were not ripe. these 6 is what I ended up with. I think i did well on my first time. 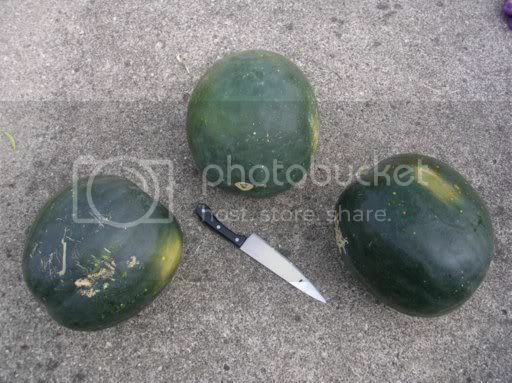 These 3 were my largest melons. The type is Cherokee Moon and Stars. 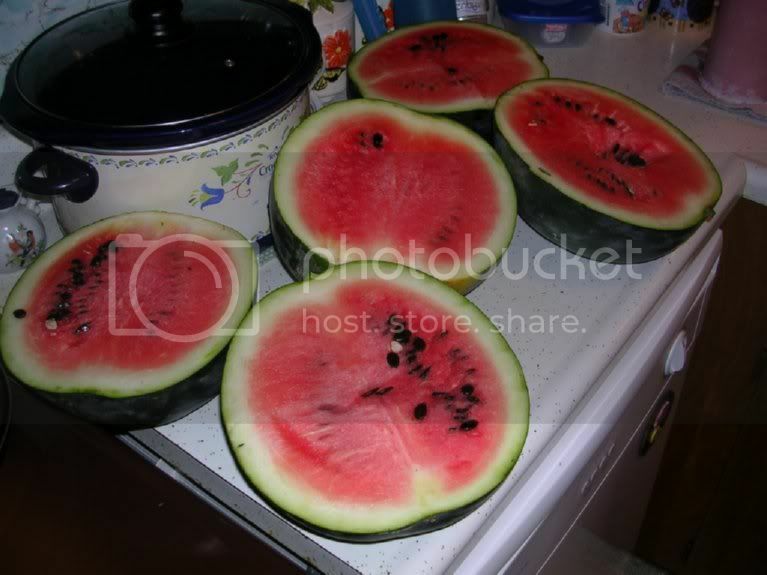 These melons were smaller but they sounded good to me so I cut them. Thanks for looking! I totally enjoyed growing these. Being my first time I would say It was success!